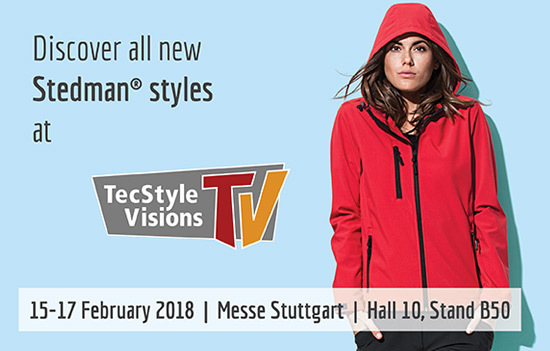 Discover all new Stedman® styles at TecStyle Visions! Print your ticket and enjoy TecStyle Visions for FREE! Every ticket is valid for one day and one person. The code can be used for multiple registrations.